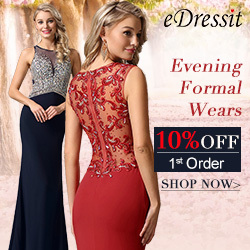 If you like online shopping, then this article is for you, it may occur that there are some alterations to do for a perfect fit, so to have your beloved dresses successfully altered is very important! Wearing your precise undergarments to the session helps your dressmaker accurately pin and mark the dress for alterations along the side seams, bodice, neckline and skirt area. This is especially important with bridal dresses which often have additional pieces such as petticoats. Whether you're altering an evening gown, cocktail dress, or bridal attire, your heels are an integral part of the alteration session and your finished look. 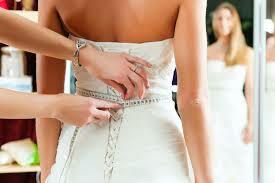 Wear your planned footwear to help the tailor adjust and pin an accurate length for your dress. A proper dress length prevents your heels from snagging the hemline or tripping on the dance floor. 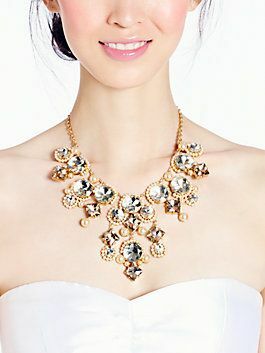 Whether you opt for statement earrings, a necklace or both, take your accessories to the alteration session. This will allow the tailor to make necessary adjustments to the collar or neckline to accommodate your pieces. Style any special hairdo -- up or down -- for the fitting if you plan to highlight specific details of your dress, such as decorative edging along the neckline or shoulders. If you're fitting a wedding gown, wear your veil.